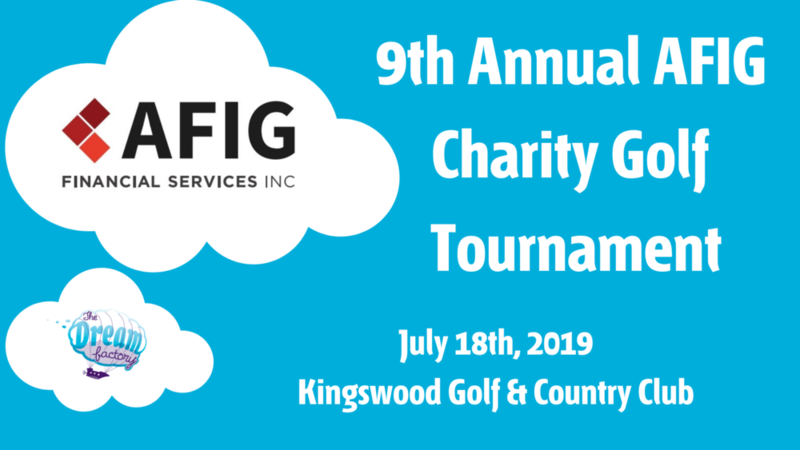 AFIG Financial Services is hosting it's 9th Annual Charity Golf Tournament in support of The Dream Factory. As always, there will be lots of prizes, food, drinks, and fun! Spots are limited so reserve your tee-time today! Registration is $200 per golfer, and includes lunch, dinner, drinks, 18 holes with power cart, souvenir bag and lots of prizes!